Editor's Note: We have attempted to verify original years of operation as accurately as possible, but due to a lack of authentic documentation, we have in some cases taken colloquial history as veritable evidence. We welcome any disagreements and/or amendments, and in fact, encourage them. We excluded places of worship, schools, and newspapers from these rankings. Down every main street in America, the old guard of independent “Mom and Pop” business are an increasingly endangered species. Doors are closing and windows shuttering, with glossy chains, yoga studios, and 24/7 banks popping up between our antiquated favorites and local stalwarts. These 50 bars, businesses, and firms have emerged as the exceptions to the rule, thanks to clever strategies, impeccable track records, and sometimes, simple, dumb luck. We dug through periodicals, scoured historical records, and uncovered cryptically buried secrets like interweb Indiana Joneses to find what we believe to be the oldest surviving businesses in every state. What is it? Comfortable decor, delicious food, and "drinks that are the talk of the town"
Plantation owner, loyal soldier in Robert E. Lee's Army of Northern Virginia, professional gambler, and "man about town"—Thaddeus P. Crockmier was debatably the south's most interesting gentleman (narrowly beating out Calvin Candie), and his dream was to build the most unique eatery in the lower states. He DID create the longest surviving business in 'Bama, and it still thrives as one of the most popular eateries in Mobile. The Alaska Commercial Co., now operating a chain of stores called "AC Value Center," was the first business to set up retail shops in remote areas of the Last Frontier. Often, the shopping spots would serve as community post offices and courthouses, and villages would literally build around these outposts serving as commercial lifeblood to Alaskans. Nowadays, the company still supports rural residents in areas with limited alternatives, though they now probably prefer plain cash to fur skins and loose gold. In 1900, a vicious fire tore through the original Palace, with only the hand-carved bar being salvaged. Its loyal patrons (including Doc Holliday and the Earp brothers, at one time) pitched in and rebuilt the Palace around its legendary bar, and the authentic Wild West waterin' hole is still kicking today, for all cowboys who may or may not have snakes in their boots. What is it? "The Oldest Law Firm West of the Mississippi"
The third oldest law firm in the U.S., Rose Law was making plea deals 16 years before Arkansas was even a state. Fun fact: Hillary Clinton, first lady and possible first president-lady, was once employed by the firm. Ducommun started as a simple general store founded by an ex-watchmaker, but it evolved with California's booming economy. It became a metal distributor during the first two world wars, and in the new millennium has reached atmospheric heights (in the true sense of the word), providing materials, engineering, and program management services for NASA. With the current owner and operator being the great-grandson of the original founder, it's fair to say R&R Market is a family-centric business. Formed 19 years before Colorado achieved statehood, the market is a fully functional supermarket in the heart of historic San Luis, as well as a popular spot for tourists to grab some "pop," and snap some photos. 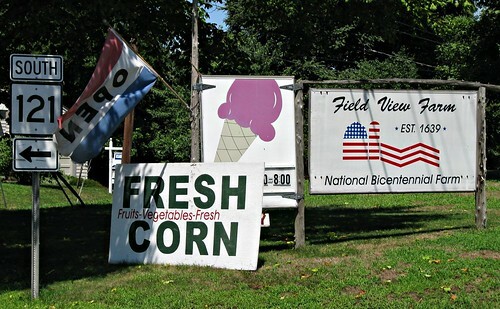 As one of the oldest businesses in the entire country, Field View farm has diversified over the years to include the sales of dairy products (including an ice cream stand, once described to me as "bitchin'") and even heavy farm equipment. It's roadside stand is iconic in Connecticut, and sprouts some pretty fresh veggies for an operation dating back to the 17th century. This renowned destination for drinkers and fans of history alike keeps the nostalgia alive with servers dressed in period costumes, as well as authentic colonial fare prepared fresh nightly. It's like the industrial revolution never happened, man. Even though it's changed locations and owners over the 150+ years it's been in business, Pensacola Hardware has stayed afloat by providing quality, local service and modernizing its inventory with high-output power tools that no Florida man on bath salts should ever go near. What is it? Food, drinks, "rousing good times"
Once a hive of scum and villainy for bloodthirsty sailers, pirates, and all others who said "yarrrr" on a daily basis, the Pirates' House has morphed into a family-friendly restaurant and veritable slice of Peach state history, more than happy to accept your party of seven. Possibly the entry with the most twisty-turvy history, Amfac was originally founded under the name H. Hackfield and Co., starting as a dry-goods store in Honolulu. Over the centuries it has survived more buy-outs, mergers, settlements, lawsuits, and more overall drama than 10 combined Lindsay Lohans. At one point, most of its assets were bought for $920 million. Today it survives in part as Kaanapali Land, LLC, which includes a small coffee farming operation, and a land development firm. With the original hardwood floors (don't worry, they cleaned them) and eight rooms to sleep off your hangover (don't worry, they refurbished them) the White Horse is the quintessential bar for Idaho locals to gather 'round and talk about their love of potatoes and hatred of Montana. Surprisingly, the oldest biz in Illinois, and by default Chicago, has nothing to do with deep-dish pie, or Billy Goat-related losing streaks. C.D. Peacock has made a name for itself in the jewelry game by its staggering longevity, and continues to dole out priceless wedding rings that will eventually be used as collateral in divorce settlements. Sorry, numbers don't lie. Another example of a hardware store that has survived the Home Depot/Lowes boom, this little shop-that-could beat the odds, and continues to operate on a small scale, selling bolts, nails, and the like to its loyal customers, maintaining the historic reverence of old-timey Vevay. If your liquor license was granted by Millard Fillmore, you know you have some serious OG cred. This country-fried cookery is so revered, folks from all over the country helped chip in on the rebuild when the restaurant was decimated by a fire in the late '00s. Before Kansas was even a state, the Davis family was packing residents into the cold hard ground, and generally escorting them into the afterlife. In its sixth generation of family ownership, the funeral chapel has expanded to all things undead, including the sale of caskets—which was never a young man's game, anyway. How's this for a transition: a rough-and-tumble pirate locale, to a full blown gay bar, to a nice spot to sip a brew at the tail end of modern-day Bourbon street. That's exactly what Jean Lafitte's has done during its illustrious run as the state's oldest place of business. The Seaside Inn is easily one of the oldest continuously operated business in the U.S.A., and it delivers exactly what it promises. Since the 1600s, it has been a resort destination for those looking to get away from it all, with total access to Kennebunk Beach, and all the fun that entails. President Washington, Ben Franklin, and Thomas Jefferson are all reported former patrons of the Middleton Tavern, which has been holding court in Annapolis since the mid-1700s. Consider this a true American institution for true American inebriation. 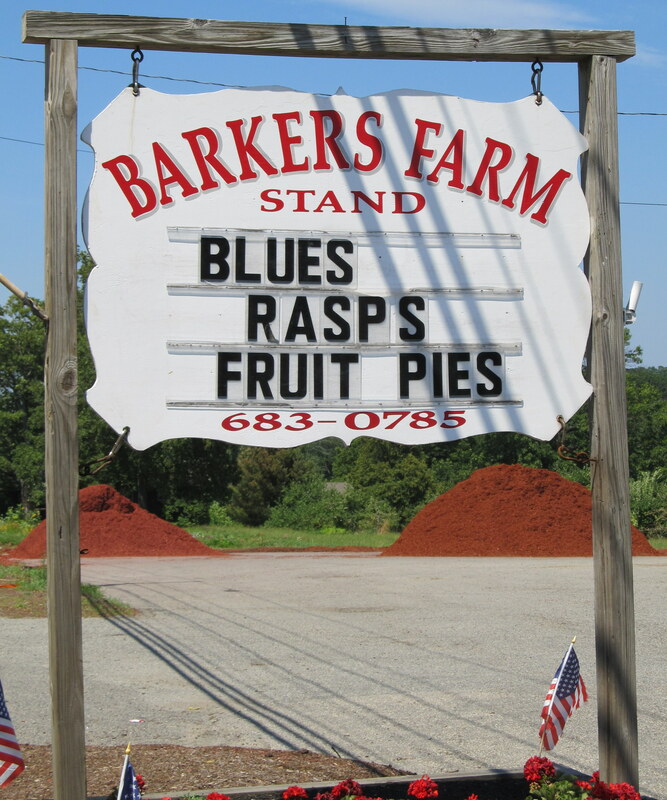 Barker's Farm Stand is a classic example of quality products standing the test of time, with their corn, strawberries, and apples remaining locally-grown Massachusetts staples long before the Boston Tea Party polarized colonists, or even before Boondock Saints polarized straight-to-DVD audiences. Established four years before Michigan became a state, New Hudson’s been serving drinks to patrons since they were showing up in stagecoaches, but something tells us the dive bar vibe and the shiny new stripper pole on the dance floor are recent (and appreciated) additions. Fred W. Radde & Sons, Inc. These masters of the auction arts have been wheeling and dealing since the 1800s, and so far, have no signs of slowing down—even expanding to online auctions in recent years. Occupying the port city’s oldest structure, Kings was started as an inn and restaurant for locals by a New Yorker who relocated to the state following the Revolutionary War. And while some claim the place is haunted by three dead bodies that were found mummified in its walls during a renovation in the 1930s, it remains a popular spot, turning out farm-to-table eats and a full menu of craft cocktails. This raucous pub sits 55 feet underground, beneath the Weston Brewing Company, which was part of what made it such a kickass speakeasy during Prohibition. Currently owned by a pair of fun-loving sisters, this place is oozing with Wild West saloon vibes, complete with original period nymphs and satyr artwork. Once a flourishing gristmill built under the supervision of Brigham Young, Florence has been stunningly renovated—while maintaining its historic look and feel—into a museum and gallery for local artists. Proclaiming itself “Nevada’s oldest thirst parlor,” Genoa was originally operated as a “Gentleman’s saloon,” and is now a boozy showcase for all manner of Wild West-related ephemera including centuries-old diamond dust mirrors and a leopard print bra that once belonged to Raquel Welch. While it recently went under new ownership, Tuttle’s was once the longest single family-owned farm in the country, having passed down through 11 generations. It’s since been renamed to Tendercrop Farms, but considering it's still operating in much the same manner (selling fresh produce, meats, etc.) as it did for centuries before, it deserves a spot on the list. While it didn’t get its tavern license until 1776, this one-time one-room cabin has been standing since well before. It even served as a stagecoach stop and was part of the Underground Railroad. New Mexico is home to some of the oldest standing structures in North America, but its longest-running business is barely a hundred years old. The building itself has a boozy history, though, having housed two other previous saloons before El Cantina, including one owned by Billy The Kid’s lawyer. Having been a bar for most of its 250+ year history, this place is steeped in crazy stories, but the coolest might be about the time during the Revolutionary War when it served as a prison for a single inmate: the notorious spy Major John Andre. Currently serving upscale Moravian-inspired food as an homage to those immigrants who flocked to this small town long ago, this place has been a tavern in one sense or another since it opened its doors 225 years ago. This spot hosted the likes of JFK, Teddy Roosevelt, and LBJ when it was the posh lobby bar for the hotel that occupied the building. These days though, they serve up great drinks and fine food as a standalone establishment. For just $4, the Golden Lamb’s original proprietor bought a license to operate a “House of Public Entertainment,” and it was one hell of an investment considering it’s still doing just that 212 years later. Considering its location—halfway between Cincinnati and the National Road (U.S. 40)—it's attracted a whole run of prominent guests. Established back before Oklahoma was even a state, this jewelry company has retained both its original name and owners. They remain one of the region’s pre-eminent jewelry spots, with three different locations in the area, and even have a promotion that will refund $5,000 from your engagement ring purchase if it rains or snows an inch on your wedding day. Launched well before most of your favorite bottled drinks were even dreamed up, this Van Dusen originally operated as a mercantile, and is currently the area’s go-to PepsiCo and Dr. Pepper bottler. Rowland got its start nearly 300 years ago as a maker of shovels, spades, and springs for wagon wheels, but once that market dried up they pivoted like pros into a company that makes hydraulic mechanical components for big rigs like cranes and trains. This modest mill has been crushing berries of grain and kernels of corn into flours and meals since before America was even born, and continues to do so the old-fashioned way using granite stones sourced from a local quarry. In its first iteration in the 18th century, this spot was the hub of Charleston’s social life, and functioned as a theater and party space for the city’s elite. During its long tenure it’s hosted its share of luminaries, including President Washington, who allegedly enjoyed a 30-course meal there. Today, it houses one of the most critically acclaimed restaurants in the South. One of the Mount Rushmore state's first licensed businesses, Look's was serving up artisanal meats, cheeses, and produce well before anyone even knew how to pronounce "yuppie." In Tennessee and in desperate need of a top-notch new kitchen counter, monument, or headstone? WMW's got you covered from their repository of quality rock, sourced from the state's rich quarries of marble. While it’s changed ownership a number of times in its 150+ years of operation, Imperial’s legacy in the area is quite remarkable considering the city it's based in was named after the company, and even incorporated the brand’s crown logo into its city seal. The first Steinway dealership west of New York, Dayne’s Music started out as a modest music and jewelry store in Salt Lake City and became known as Brigham Young’s watchmaker. These days, the business operates an impressive showroom not far from the original digs, complete with a separate recital and performance area. Originally a military crossing in use during the French and Indian War, the ferry is still a popular (and incredibly scenic) seven and a half-minute journey that takes you from shore to shore. Not only is it the oldest active plantation in the country, but it’s also the oldest family-owned business. Today, members of the Shirley family’s 11th generation occupy the upper floors of the estate, while most other buildings and grounds on the property serve as special event spaces and historic tourist attractions. As part of the Roche Harbor Resort, the 20-room hotel offers balconies that overlook the picturesque waterfront, a bocce court, and if you're lucky, maybe even a haunting. This longtime resort and spa was once a popular spot with sitting presidents, having hosted 26 while in-office (the last was Eisenhower). They even set up a secret Cold War bunker underneath to serve as an emergency shelter for Congress, which they'll now let you tour. These days it plays a much less important role, although it's still a popular place thanks to a full calendar of special events, a casino, and golf courses. Although it's gone through a few name changes, Minhas (formerly the Joseph Huber Brewing Company, and before the The Blumer Brewery) is the second-oldest brewery in America. They continue to produce a number of premium and craft brews, as well as sodas, most of which are hard to find anywhere outside the midwest. Located in the state's oldest incorporated town, this homey saloon-style spot offers a drool-worthy selection of steak and whiskey. Joe McGauley and Wil Fulton's ages added together is still 100 years younger than most every institution on this list.